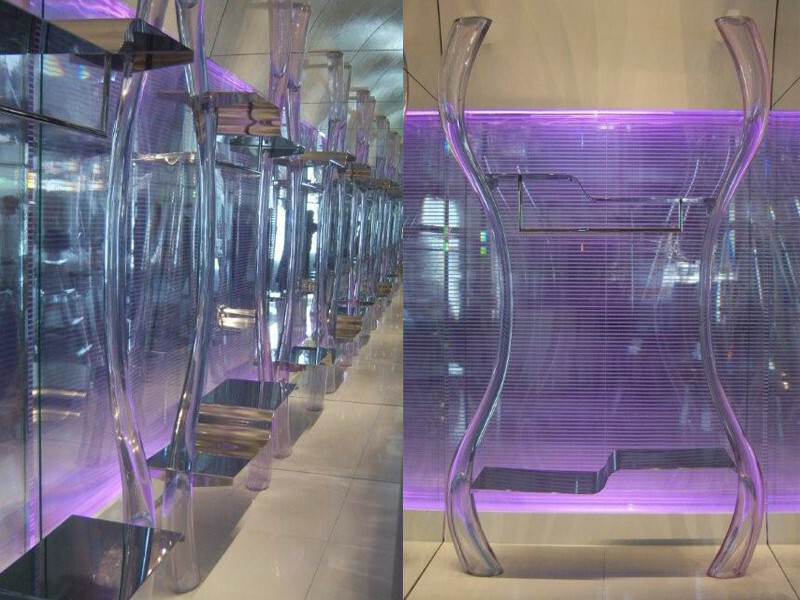 This futuristic design concept was developed for Byblos Fashion Store. The design aims to create an environment reflecting the dynamic and contemporary spirit of the brand, through colors, forms, materials and a perfect fusion of organic and high-tech elements. 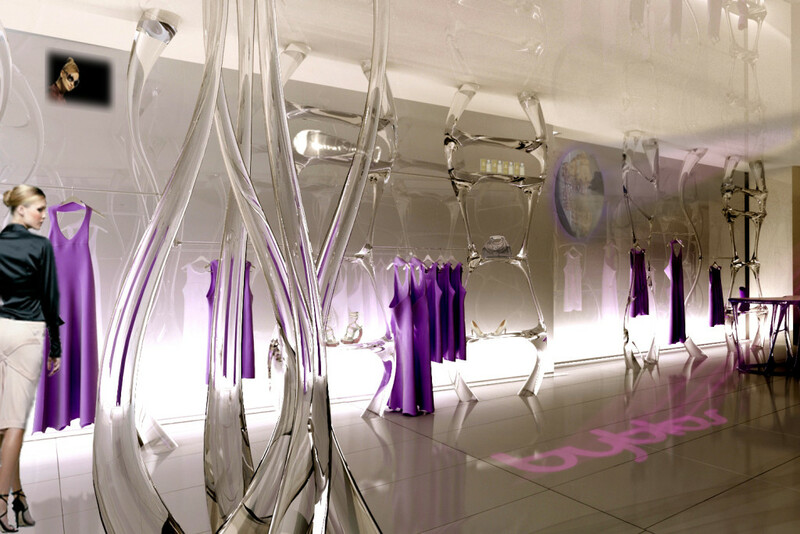 Attractively shaped store environment creates a unique merchandising system that showcases the brand products. Inspired by the nature, soft organic shapes give the illusion of tree resin flowing down and creating amazing shapes. These sculptural design elements form a futuristic landscape of the space while glossy and transparent materials give it a sophisticated look. The monochromatic color scheme that has been chosen for the project becomes a perfect background for interactive lighting. Lighting installations effects involve customers into a unique interactive experience.